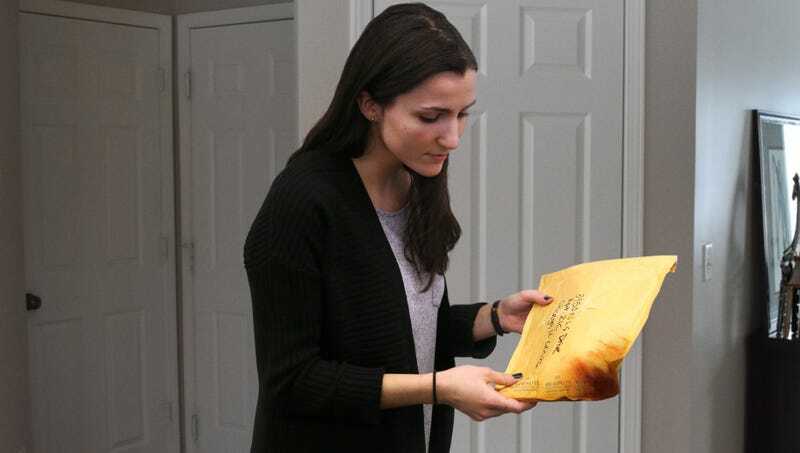 BOSTON—Claiming that the simple but thoughtful act was an excellent way to rekindle lost love, relationship experts confirmed Wednesday that mailing a body part to an ex on Valentine’s Day was the only way to win them back. “Our research revealed that anyone hoping to successfully reignite an old flame should lop off an extremity and ship it first-class to a former lover,” said sociologist Dr. Margot Durlauf, who recommended artfully arranging ears or fingers in a romantic collage rather than just hacking them off and carelessly dumping the bloody parts into a package. “Even just a little toe can go a long way to convincing the one that got away that you’ve been thinking about them and want them back in your life. Many couples who reunited claimed that receiving a severed hand immediately brought the couple back together and made their relationship stronger than ever before.” Durlauf added that giving a personal detached limb had a higher likelihood of successfully wooing a past sweetheart than just simply buying one.